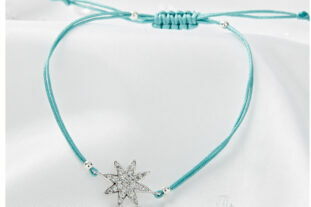 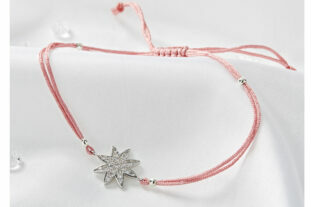 This divine friendship bracelet will look beautiful on the wrist of a young lady of any age. 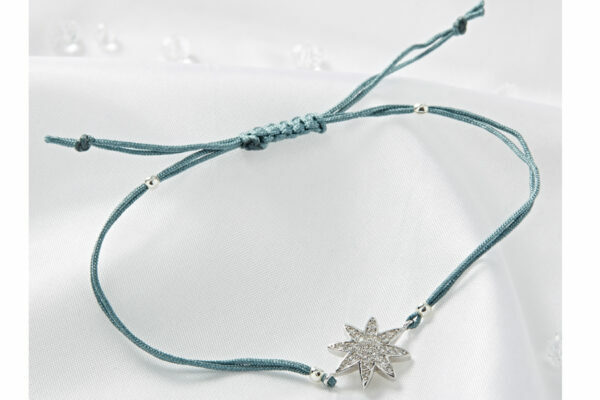 Featuring a shiny central star that has been carefully crafted from sterling silver and embellished with micro-pave cubic zirconia grey stones for extra sparkle. With an adjustable handmade silk bracelet to adapt the size for a snug fit, this would make a perfect gift for someone special.